Established in 2012, the UKFGA are the National Governing Body for the sport of FootGolf within the UK, They are sanctioned by the Federation for International FootGolf (FIFG) as the approved body for organizing FootGolf in the UK. FootGolf has been the UK’s fastest growing and most talked sport for the past 2 years. 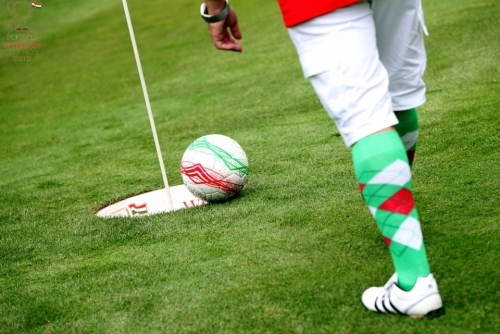 There are now over 200 certified golf courses offering FootGolf across the UK. There are more than 60,000 member players registered with the UKFGA, and more than 30,000 people playing the sport every week. The UKFGA, have implemented a National Tour for 2016, with more than £30,000 of prize money on offer. The 2016 UK Open (Stage 11 of the 2016 European Tour) is likely to be the most attended event of the 2016 season, with more than 200 participants from across the world. The UKFGA will also be holding the inaugural “Four Nations Event” pitting England, Scotland, Wales & Northern Ireland against each other for the very first time. At Hadden Hill Golf Club, we have adapted our par 3 course to create a 9 hole FootGolf course. The object of the game is to get the size 5 football into the hole, in the least amount of shots. For more information and to book a tee time please call the Pro-Shop on 01235 510410. You can also use our online booking system. Please note that we share our Par 3 Golf course with the FootGolf course, tee times may vary so please call or check the online booking to check availability.